Years ago when we started making The Path with Kris and Jarboe on board to do the soundtrack I kind of dreamed of this day. Well now I can say the circle is round and this journey is complete. Not only can you get The Path Soundtrack on CD from us and from the wonderful publisher Paradigms Recordings, but now you can download the music from iTunes and emusic… And probably a few other music download portals as well! Not sure why, but it makes me unspeakably happy to see (and hear) the compositions they made out there among all the other music in the world. They do this album release thing all the time, but for me it’s a first! Having everything available, out there, being listened to by everyone now… makes it all feel more real. 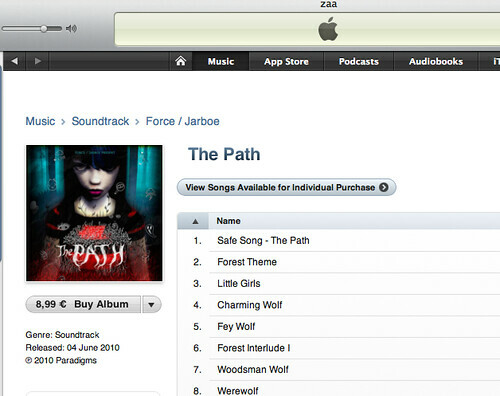 Get The Path Soundtrack on iTunes! 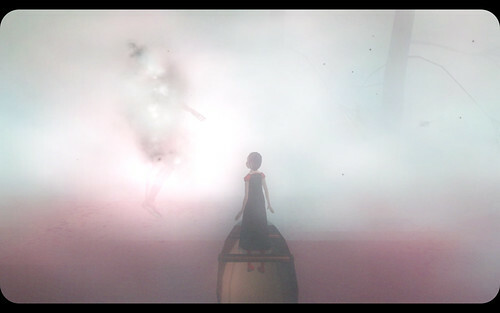 Get The Path Soundtrack on emusic! There is an upgrade available for The Path which fixes several reported issues and improves overall stability of the game. Mac users: good news, all you have to do is run the game and it should automatically update. PC users: there is also an upgrade on the forum which resolves certain issues. Please see this forum thread for the download and other info. But you don’t need to upgrade if you are not experiencing any problems. Steam users: you should also see an upgrade available. There’s updates available for Mac and PC that should take care of the worst issues experienced on each platform. Go here for the PC update. And here for the Mac update. 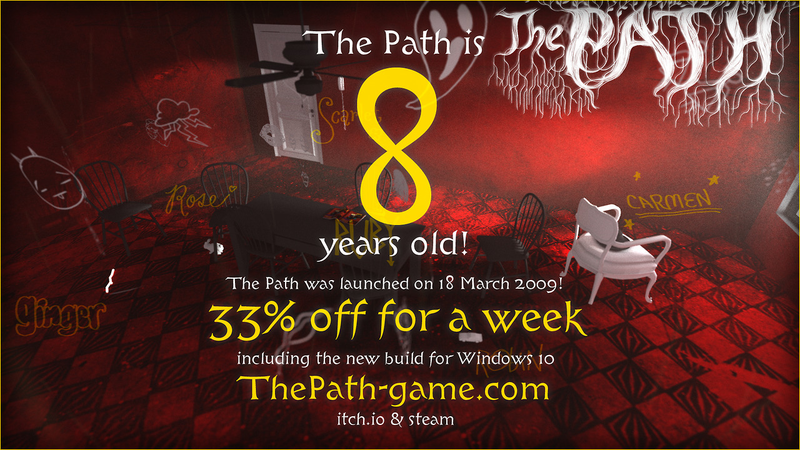 You are currently browsing the The Path ------ development blog weblog archives for the Update category.